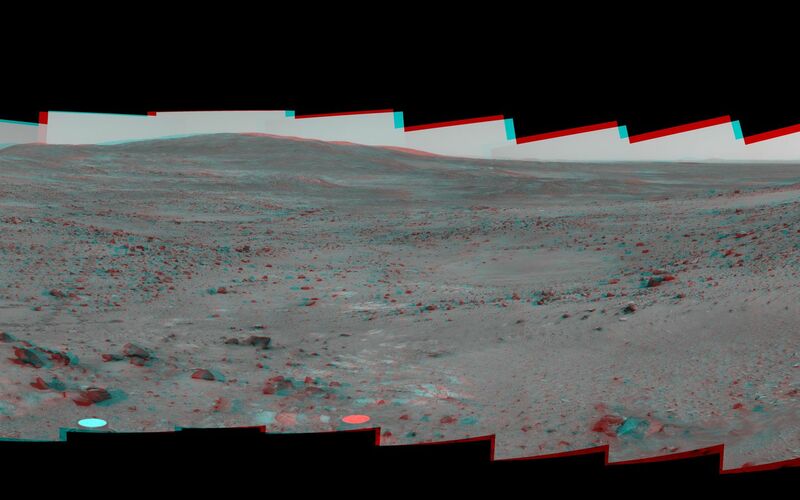 NASA's Mars Exploration Rover Spirit used its panoramic camera (Pancam) to record a 360-degree vista, dubbed the "Seminole" panorama, from partway down the south side of "Husband Hill" in November 2005. 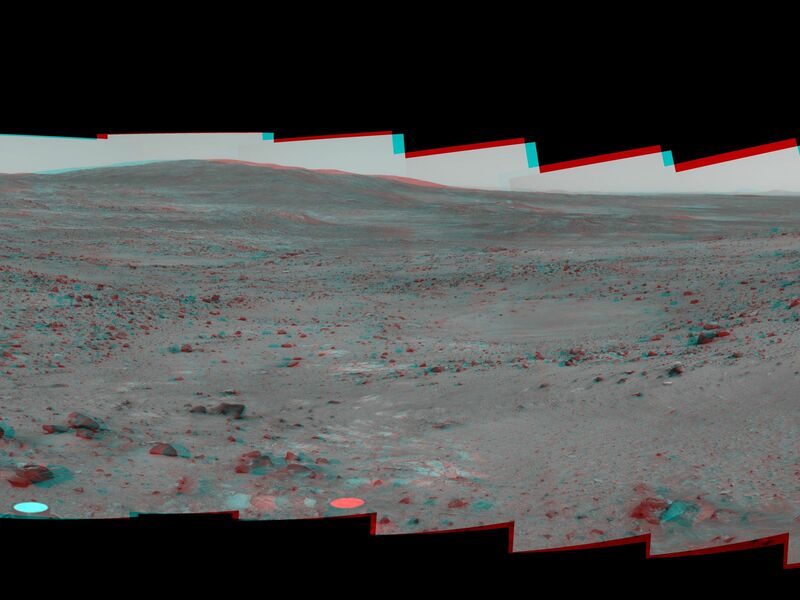 This view is a stereo anaglyph of the Seminole panorama, showing it in three dimensions to viewers using red-blue stereo glasses. 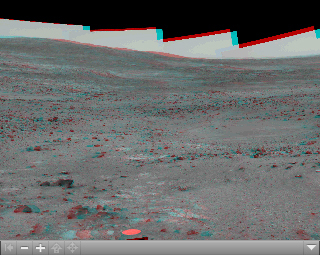 The images combined into this anaglyph were taken through the Pancam's infrared L2 and R2 filters during Spirit's 672nd through 677th Martian days (Nov. 23 through Nov. 28, 2005). Geometric and brightness adjustments have been applied. 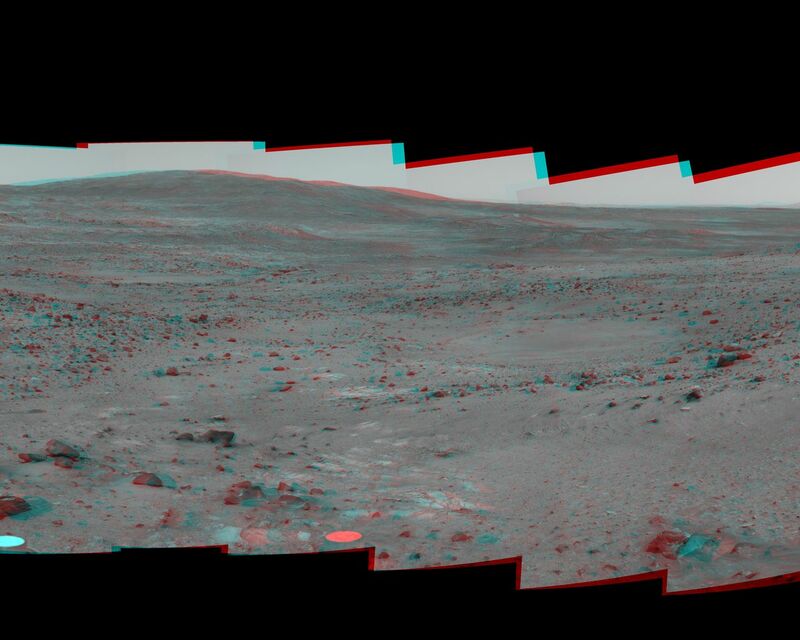 The view is presented in a cylindrical-perspective projection with rover tilt removed. For additional information about the Seminole panorama, see PIA03640.